The Disney Wonder is now sailing from the port of San Juan, Puerto Rico to the beautiful white sandy beaches and rainforests of the Southern Caribbean. 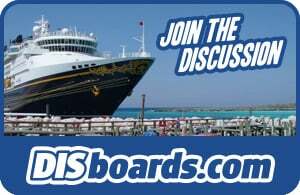 Ports of call will include Barbados, Grenada, Martinique, St. Kitts, and Antigua. Pre- and post-cruise stays are available at the San Juan Marriott Resort & Stellaris Casino or the Caribe Hilton San Juan.